Trerose is a gorgeous, secluded, sheltered single storey stone cottage with a huge bay window offering bucolic views over the garden to the countryside beyond. 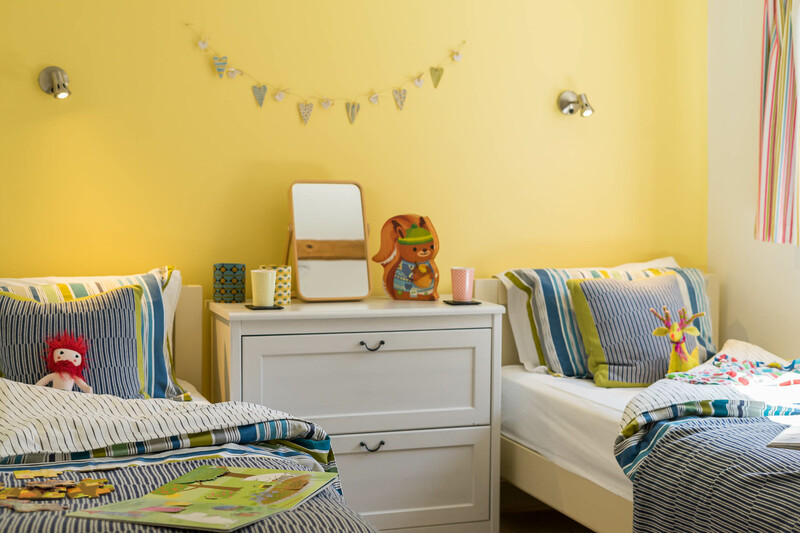 It is a welcoming haven of comfort and style. 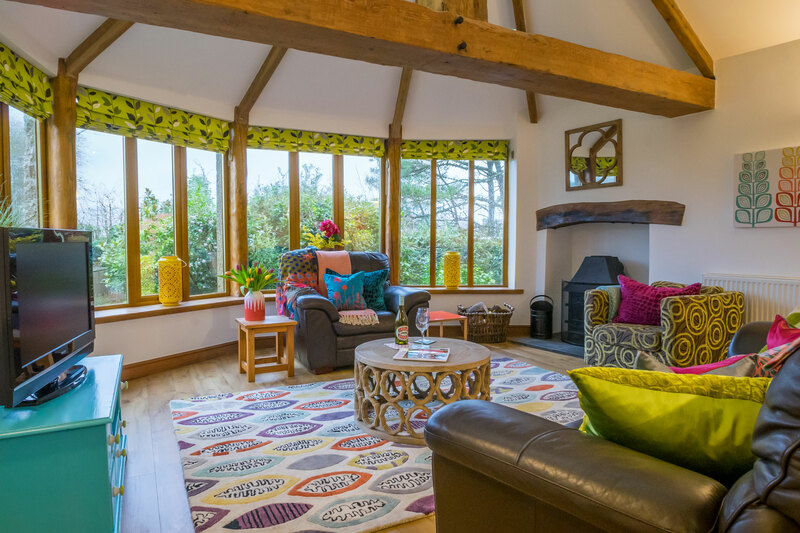 Step right into your holiday through the entrance lobby and marvel at the huge old wooden beams which add bucket loads of character to the spacious open plan kitchen/dining/living room. The sofas are inviting, leather and squashy, ideal for curling up in to read a good book whilst you listen to the logs crackling on the woodburning stove in the granite fireplace. 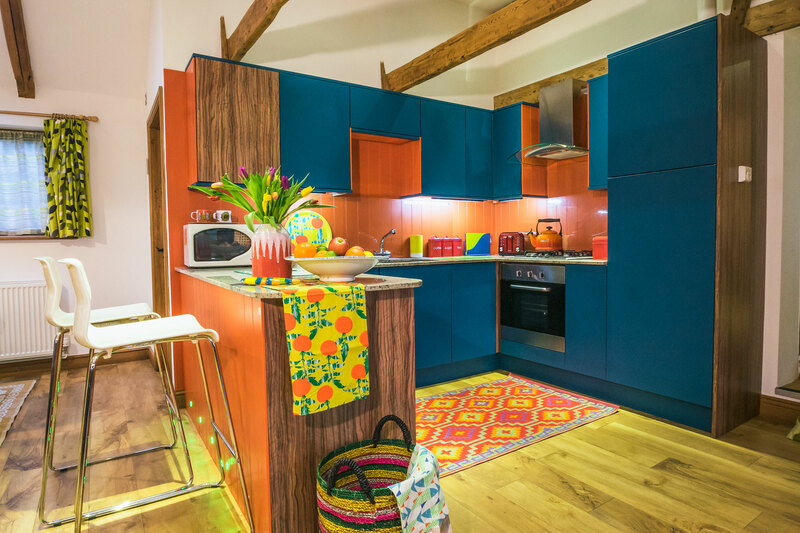 There’s a wooden fitted kitchen with granite work tops, electric cooker with gas hob, integrated fridge and dishwasher – equipped with everything you might need for whipping up holiday meals for the family and a large farmhouse table to gather for leisurely dining and the chatter there never seems time for at home. 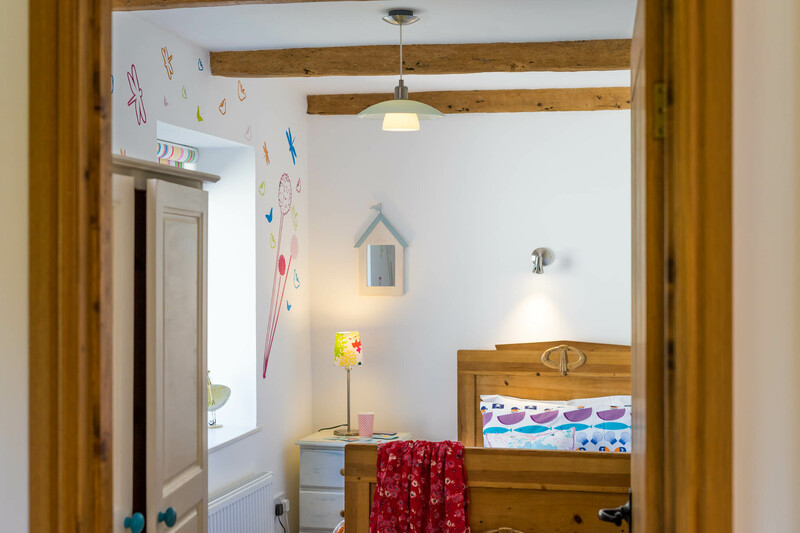 Trerose has three bedrooms, a twin and a single room (all 3ft single beds) off the lounge which share the family bathroom – a joy to behold with its crazy pop art tiles and sparkly mirror tiles which make rainbows dance off all the surfaces. It has a bath, basin, toilet and separate shower. 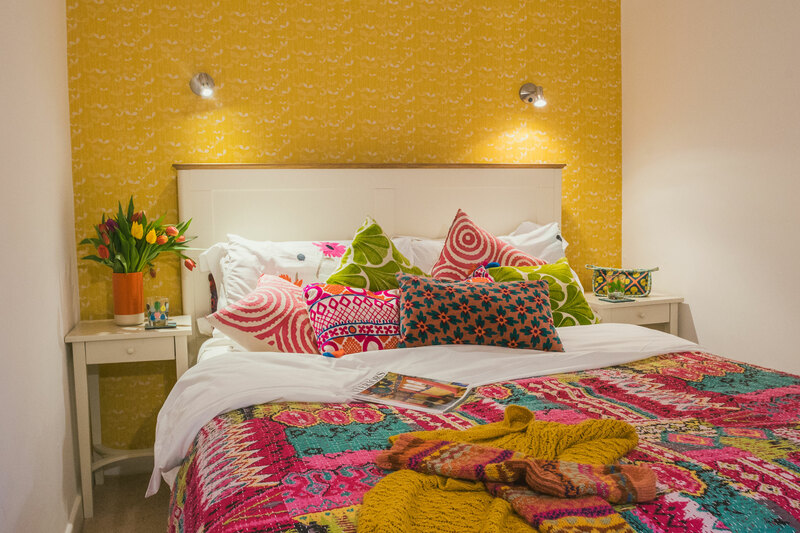 The master bedroom has a king size bed with en-suite shower room next to the entrance lobby. During the summer months, the patio can be a real sun trap – a great spot for relaxing with a book or a glass of wine in the evening. 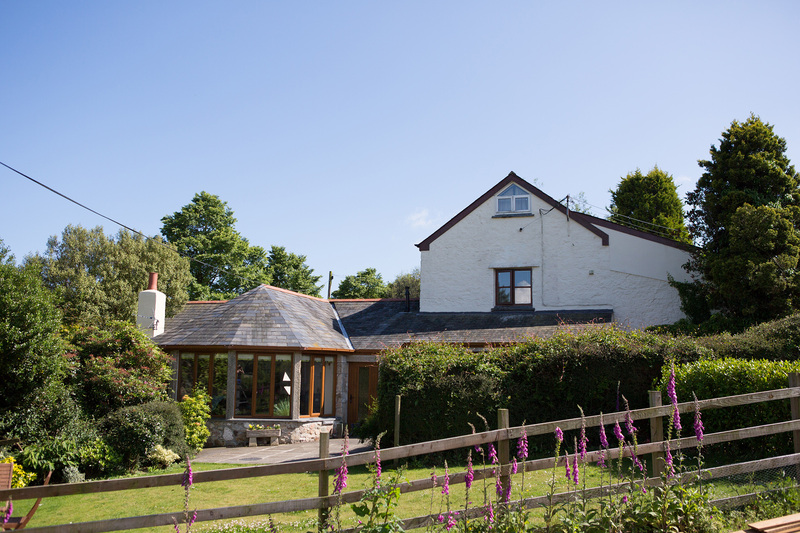 Trerose is also ideal a romantic winter breaks for two. 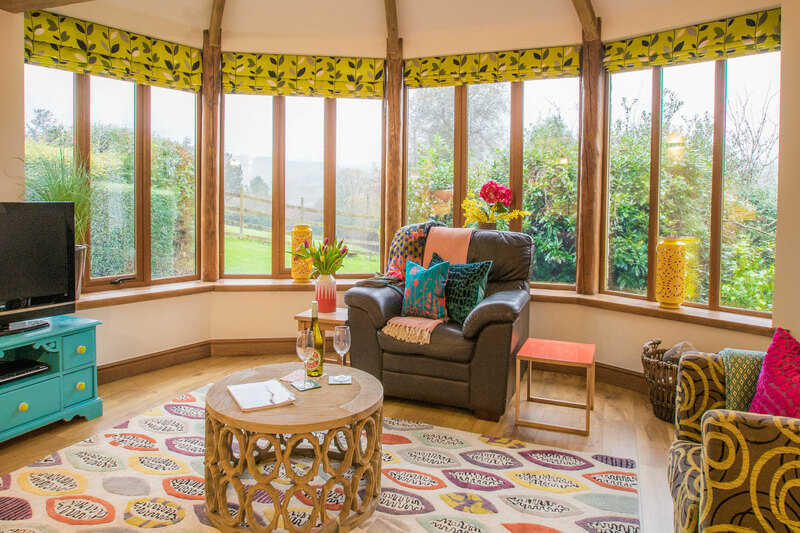 Think cosy nights in snuggled up on the sofa with a glass of wine in front of the huge wood burner… And perfect peace! 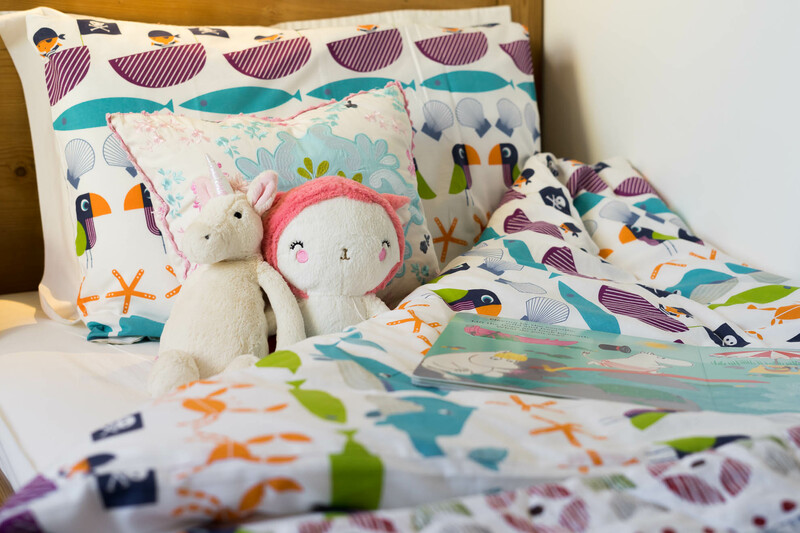 Best for: Families with young children or toddlers and couples at any time of year. 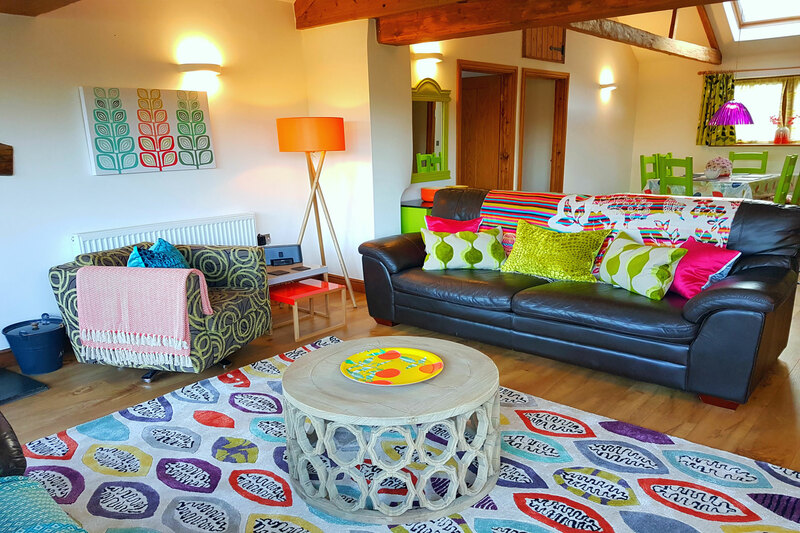 Trerose is also perfect for winter short breaks. Sleeps 5 in 3 bedrooms, on one level. 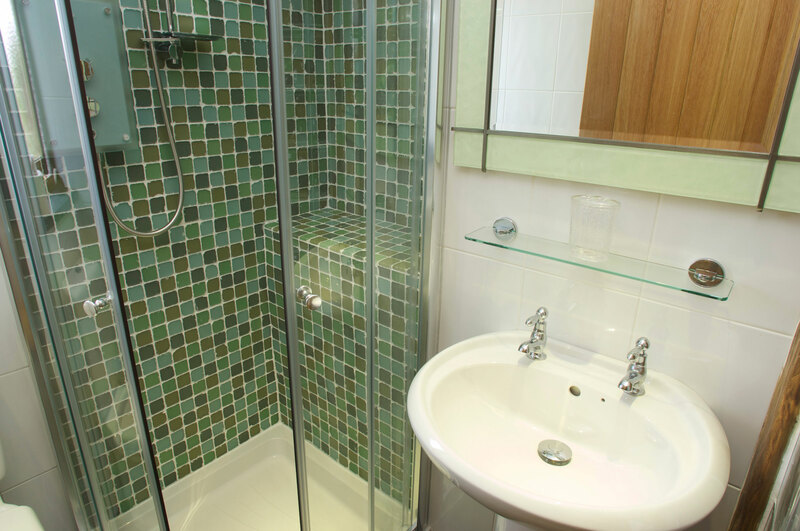 King size with en-suite shower room. Twin and a single bedroom, bathroom with separate bath and shower. 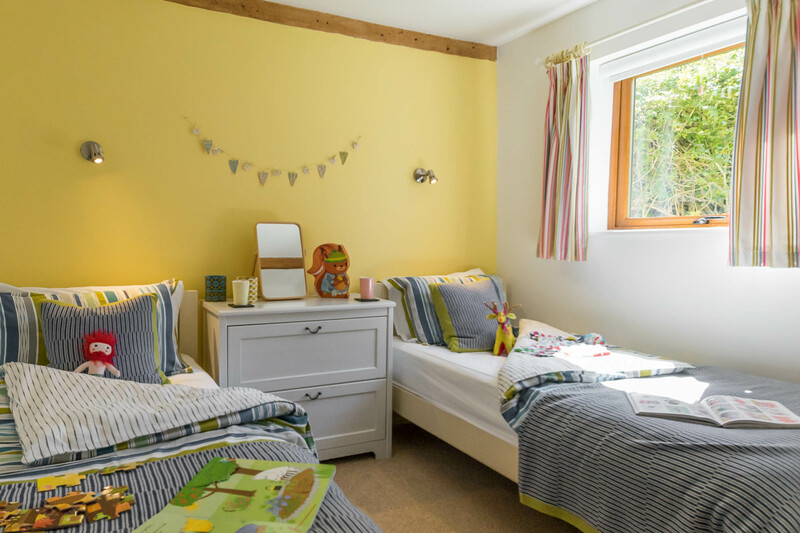 Trerose is all on one level, so it’s ideal for people with mobility problems and families with young children. 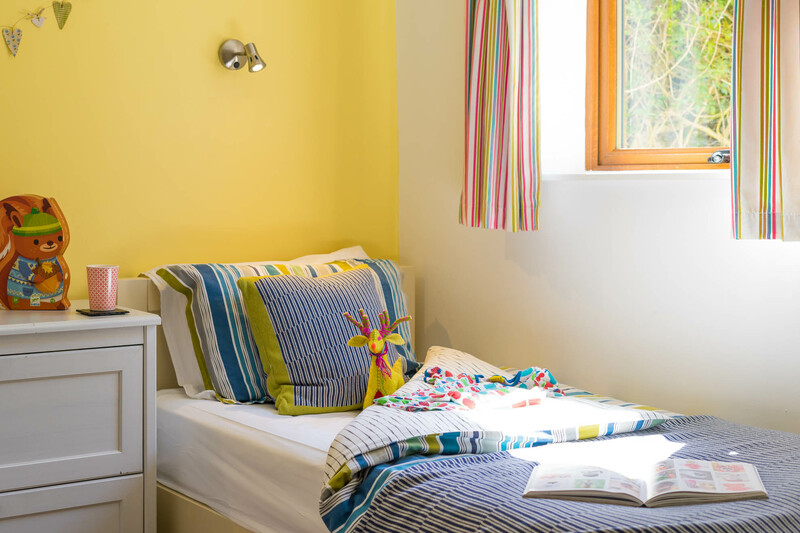 The cottage has a small folding wooden cot (36 x 21 inches, 92 x 54cm) which can be used in the double bedroom or the twin bedroom and the single if it not occupied. 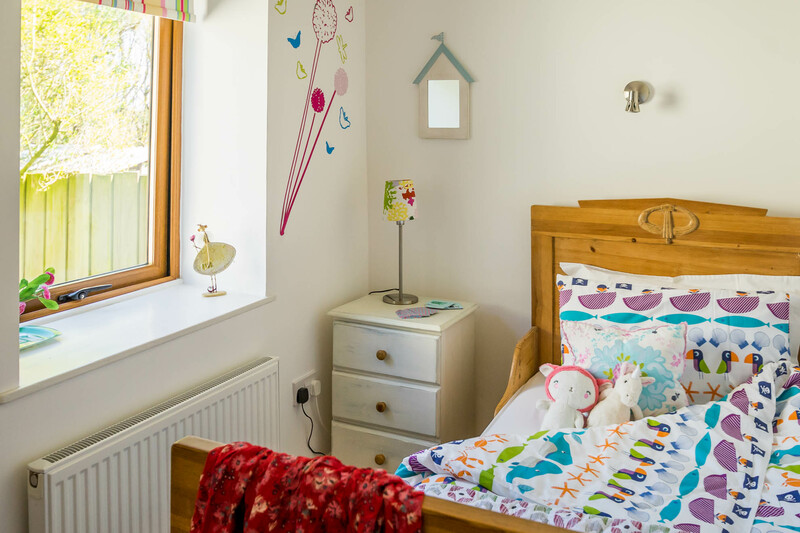 On request a travel cot may also be booked for use in any of these bedrooms instead. Gas central heating, plus a real woodburning stove in the lounge – logs supplied! Level parking for two cars on a tarmac drive leading up to the cottage.